The Central Sheep and Wool Institute Tonk, was started in the year 1962. 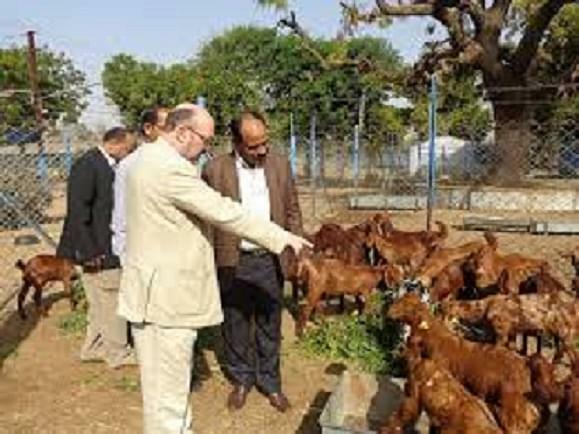 The Central Sheep and Wool Institute is a premier institute of Indian Council of Agricultural Research engaged in research training and extension activities on sheep and rabbits. The main objective is to undertake basic and applied research on all aspects of sheep and rabbit production & to develop, update and standardize meat, fiber and pelt technologies. It aims to developing and standardizing meat, fiber and pelt technologies and also transferring improved technologies on sheep and rabbit production to farmers, rural artisans and development workers. It works in close liaison with the other ICAR institutes, Central Wool Development Board, Sheep and Wool Marketing federation, Small Entrepreneurs and NGOs. Why to join Central Sheep and Wool Institute, Tonk? Achievements and Awards: The institute received “Lal Bahadur Shastri Outstanding Young Scientist Award” in 2012, “National Academy of Sciences India (NASI)” awarded membership to the institute in 2012, “SM Ismail Oration Award by Indian Association” for Achievement of Veterinary Parasitology in 2011, “Dr. Rajendra Prasad Puraskar” for technical books in Hindi in the field of agriculture and allied sciences in the year 1997-98, 2003-04 and 2005-06, “Jawaharlal Nehru Award” for Post Graduation agricultural research. Facilities: The institute is well equipped with research laboratories attending to animal Physiology, Reproduction, biochemistry, health culture, animal nutrition and animal climatic chamber. Technologies developed by Institute: Some of the important technologies developed by the institute are: Intensive lamb production for mutton, complete feed block for scarcity feeding, artificial insemination, embryo transfer technology, indigenous sponges for estrus synchronization, area specific mineral mixture, cost effective worm control program, disease data information system for organized sheep and goat farms and wool hair blended woolen products and meat and meat products. Patents and Research: The institute also holds patents rights and several technological developments in the fields of cattle rearing and related fields.